» KidsFlash » Ballots have arrived—you can vote for kids today! Ballots have arrived—you can vote for kids today! The 2018 mid-term election has started with early voting all around the state last week. 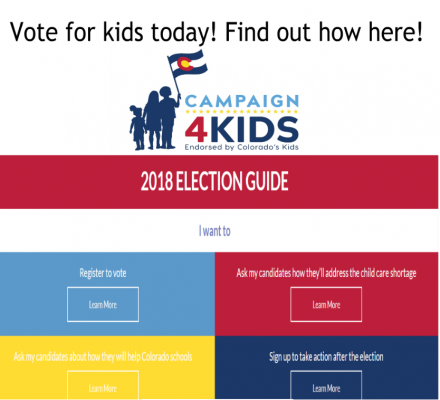 Are you ready to vote for kids’ issues? We have worked to make the issues on the ballot that impact kids easy to understand. Learn more here and make your voice count! 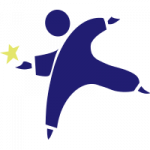 The Colorado Children’s Campaign is a nonprofit, nonpartisan advocacy organization committed since 1985 to realizing every chance for every child in Colorado. We advocate for the development and implementation of data-driven public policies that improve child wellbeing in health, education and early childhood. We do this by providing Coloradans with trusted data and research on child wellbeing and organizing an extensive state-wide network of dedicated child advocates. For more information, please visit www.coloradokids.org.